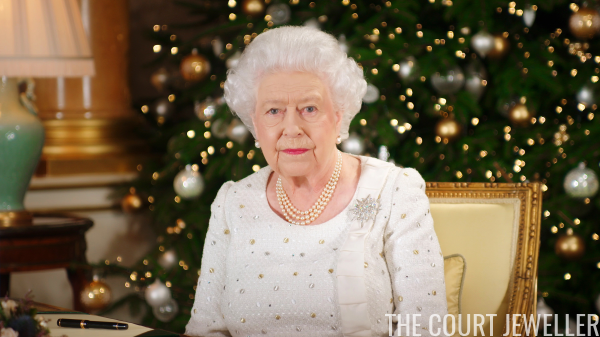 The Queen paid tribute to one of her Commonwealth realms on Christmas, wearing the distinctive Australian Wattle Brooch. 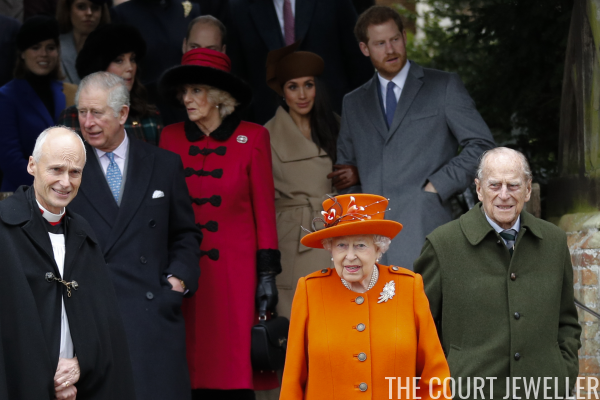 The Duchess of Cornwall donned the geometric rock crystal brooch that belonged to the late Queen Mother. ...and a pair of earrings from her Kiki McDonough collection. These are set with citrines. 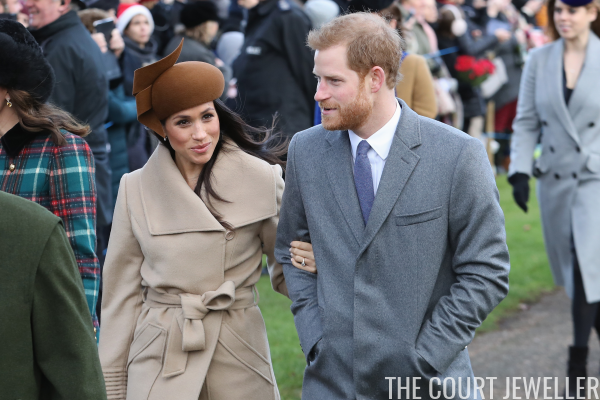 But, of course, the stars of the Wales family show were Prince Harry and his fiancee, Meghan Markle. 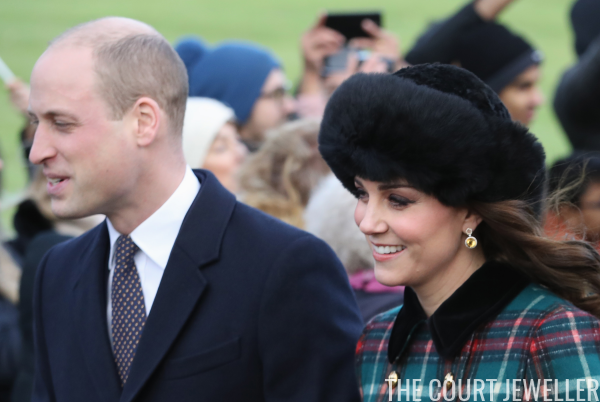 She sparkled in the same earrings she wore to the Queen's Christmas lunch at Buckingham Palace: the Snowflake Jacket Earrings from Birks, the Canadian jewelry firm. 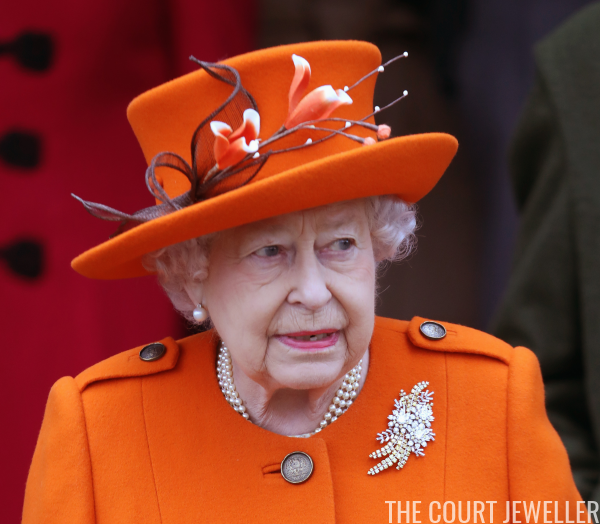 The earrings are made of white gold and set with diamonds. 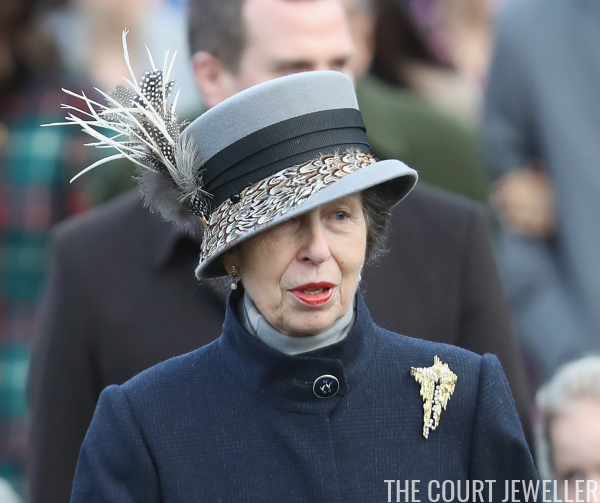 Princess Anne wore one of the largest brooches in her collection -- an abstract, artistic golden piece -- with pearl drop earrings and an explosion of feathers for Christmas in King's Lynn. 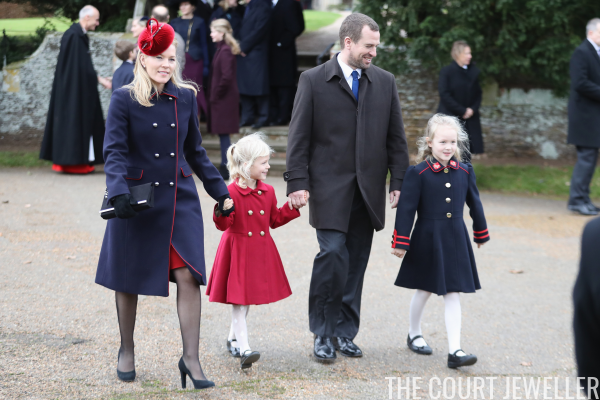 Peter and Autumn Phillips were at Sandringham for Christmas with their daughters, Savannah and Isla. 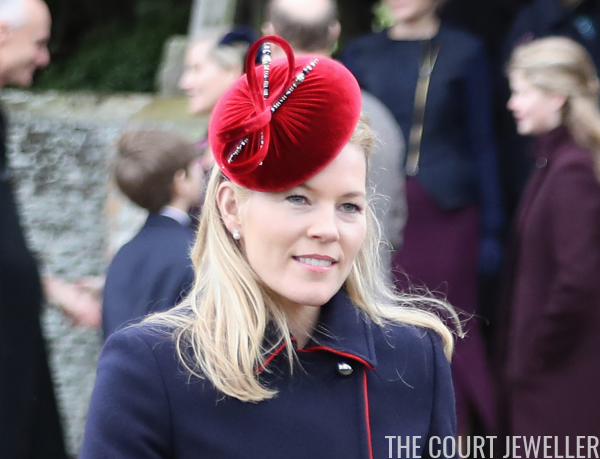 Autumn wore a delicate pair of diamond and pearl stud earrings for Christmas church. 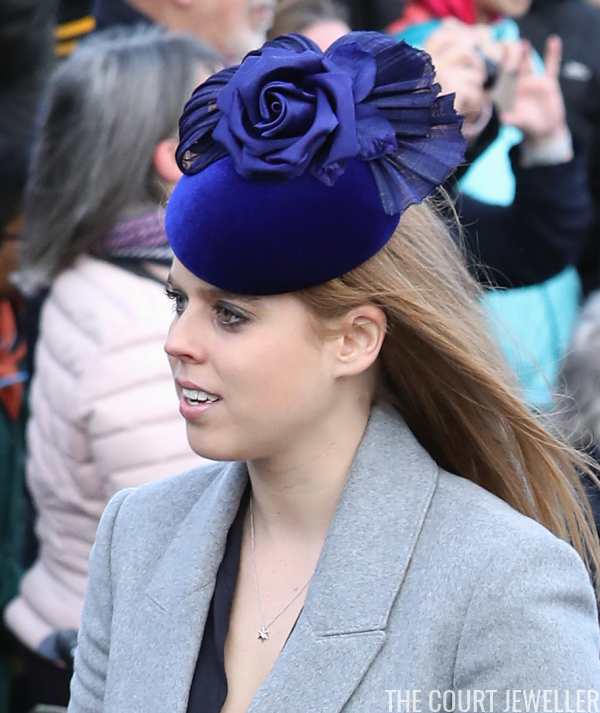 Princess Beatrice of York added an accessory to her outfit this year! It's a teeny one, but that's a starry pendant on her necklace. 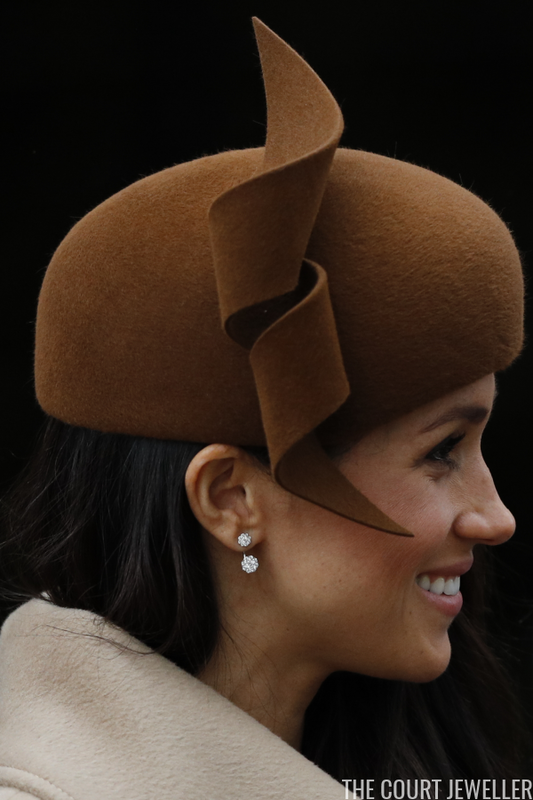 Her sister, Princess Eugenie of York, wore a small pair of stud earrings for the day. 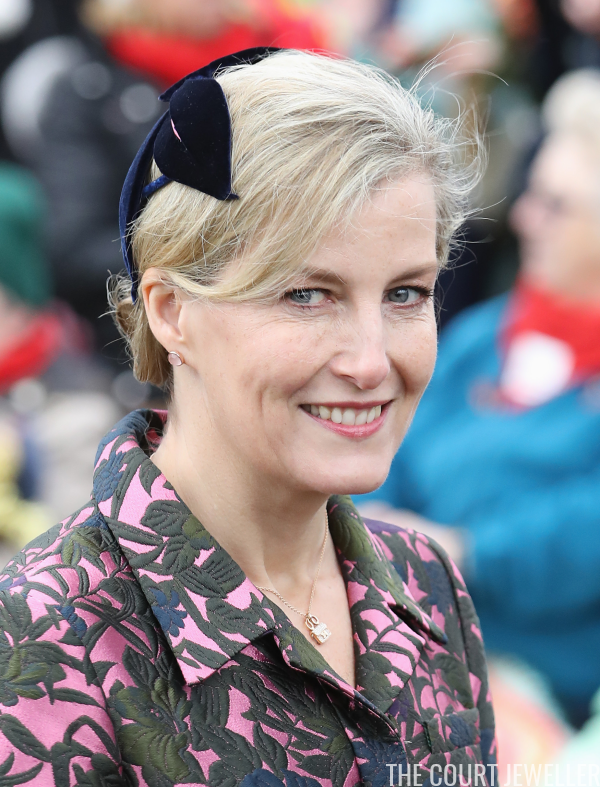 The Countess of Wessex kept her jewelry fairly low-key with her brightly-patterned Christmas ensemble. 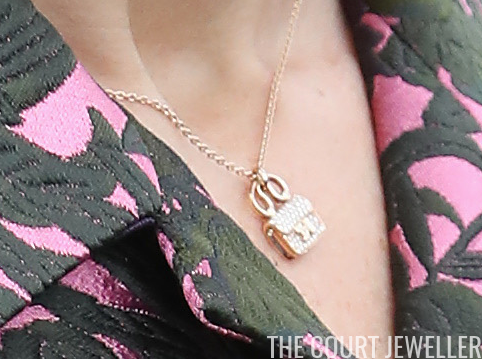 Here's a closer look at Sophie's necklace, which is by Hermes; the Constance Pendant Necklace features a charm shaped like one of the brand's handbags. 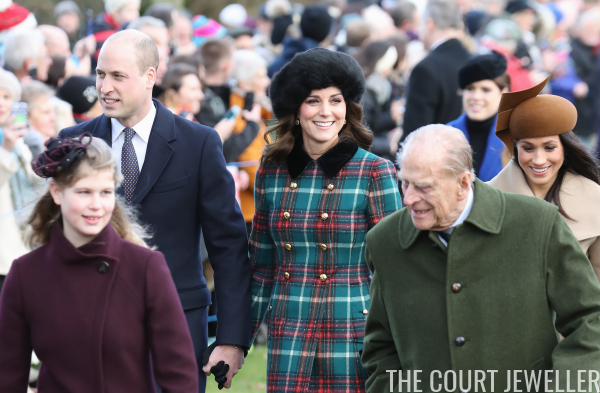 We got a blurry glimpse of Lady Louise (mostly because she walked directly in front of William, Kate, Meghan, and Harry! ), and it looks like she's still not quite ready to delve into the world of jewelry. 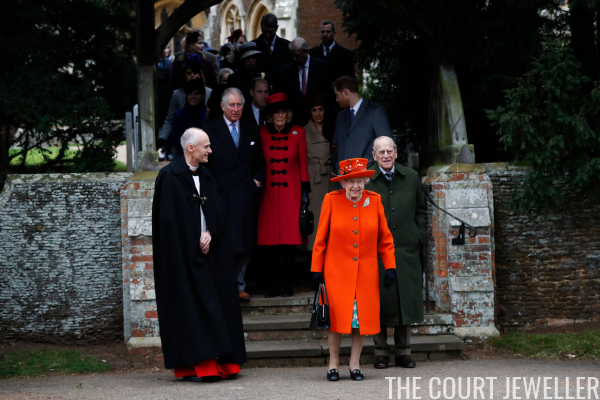 But her grandmother sparkled on Christmas Day for her annual speech, wearing pearls with the Jardine Star Brooch.